alright, I've piloted a couple of decks to master each season now. Two even p much of my own making. Don't have a clue how big of an achievement that is but w/e. I'm happy. Draft however, is a completely different story and it's starting to become a frustration. It's been ages since I've had a decent run that actually provides gains. I don't think it's the amount of power in decks, I tend to somewhat calculate how much I need, I suspect it's not the play on the board though I do make more mistakes with decks I'm not as familiar with. Which leaves archetypes and actual cards drafted: and I don't have a clue there, I must admit. Any pointers? 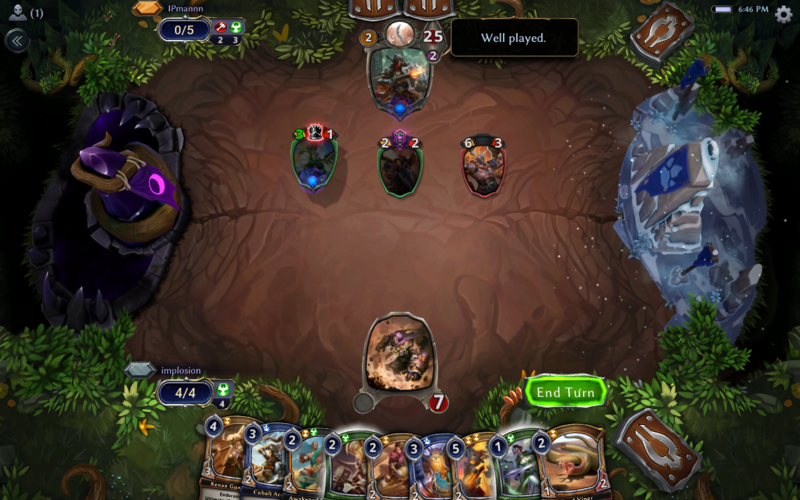 I have had mixed luck in draft - when I first started doing it I was on fire, then went into a long slump for a while and have had mediumish results since omens came out. Pre-omens i personally thought some factions were just straight better than others (rakano sucked, elysian was amazing, combrei was alright, feln was alright, stonescar was high-variance depending on if you got good cards). I always drafted a straight two-color draft. Now i'm not so sure - it seems better to draft a straight 3-color, because you have the benefit of being able to pick multifaction cards in both kinds of packs, whereas if you go 2-color you're forced into drafting straight single-color cards in half your packs. I was never really a fan of splashing in draft. I think it's sort of hard to tell right now, the draft meta is shifting. I am interested to see what how the PJT deck I drafted yesterday goes. It has 5 sand vipers. 5. And I can only get them in the omens packs. That means >1/5 of the omens cards I drafted were sand vipers. Edit: for funzies, a summary of the first three games so far. Game one: non-noteworthy win via generic value. Game two: opponent played false prince + blackguard sidearm. I had no answer. Almost outraced him though - I had a strength of the many + a couple units with killer because of the 2/2 justice thing that gets a random battle skill, but unfortunately he also played an impending doom and I decided to kill it instead (possibly a mistake) because it would let me race them faster. Game three: xenan guardian is a nice card when given aegis and flying and allowed to ultimate. Basically walled each other for the entire game because i had a million sand vipers and he played a thing with deadly, with me getting 1 chip damage per turn in from a flier. Then I drew a cobalt acolyte and the game promptly ended. 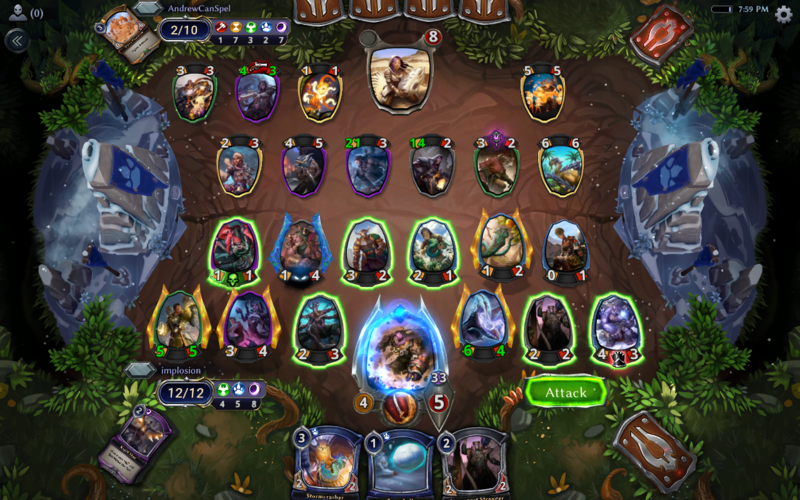 In my last draft i got 3 maelstrom bells. I won the first game by playing an 8-damage icequake. Game five: once again, sand vipers do work by not being conveniently blockable. Also stormcrasher is similarly a great card in draft and got in lots of free hits. Sigil distribution is 6-5-4 T-J-P (plus one seek power, no banners). So I managed to draw 4/5 of my green sigils with no other sigils... mulligan... and then draw 4/5 of my green sigils with no other sigils. That is actually statistically impressive. Really sad because that hand would have been amazing if it weren't influence screwed. Edit: game 7, once again influence/power screwed (and against a 4-faction draft no less). Probably still would have been hard since they played a million fliers. 4-3. Spoiler: Pretty confident this is the most ridiculous draft game I've played. Almost the entire game was just me swinging for 1 damage per turn with the unblockable 1/4 and gaining 2-4 armor with its ability. Take note of his "strangers get +1 attack at the end of your turn" stranger which triggered 18 goddamn times. ran into issues playing Dark Combrei on ladder (currently on 4 Obelisk btw, perhaps I was wrong), so I've fallen back to Icaria Blue (with Praxis Midrange helping me from Gold I -> Diamond II) since it's probably my most played deck. mana/influence base - Was running 3 Seek/2 Eilyn's Favor, but I don't like running more than 2 Primal Sigils so I switched back. could adjust that and the manabase if I need the Aegis. I think I'm comfortable with the manabase like this, but I'm still tweaking (recent change is one Hooru Banner over 2nd Rakano Banner). also sitting on ~7.2k stone. debating if I want to craft my other two Kothons, Vadius so I can play AggroCrag, or some more Knucklebones (got a premium one!! and a boring regular one). kothon is super sick in fjp control which im still enjoying quite a bit. couldnt tell you about vadius though, i built wumpcrag to avoid crafting him for a bit. though tbh if i had a premium knucklebones id probably have to play that. couldn't you easily get away with running 2 knuckles and omens? Currently fiddling around with this. Probably ~5th or 6th version by now, but I'm starting to feel ok about it. I'd love to have a second pearlescent drake to top it off, but I need to find a little more shiftstone for that. Otherwise the idea is to have a decently up tempo flyers list with key cards shelterwing rider, eager owl and spireguard to win before my opponent does Do people have comments/criticisms? Anyone still playing in Set 3? Feels like this set is doing a lot of broken things so far which is fun. Yea, i am, don't have that many cards yet though. Yeah and a lot of the broken cards are at legendary where they probably belong but I've spent a ton of shiftstones this set just trying decks. I basically just made a relatively basic gunslingers and an unseen deck so far (found a jekk and a minsod, crafted 2 stellas). 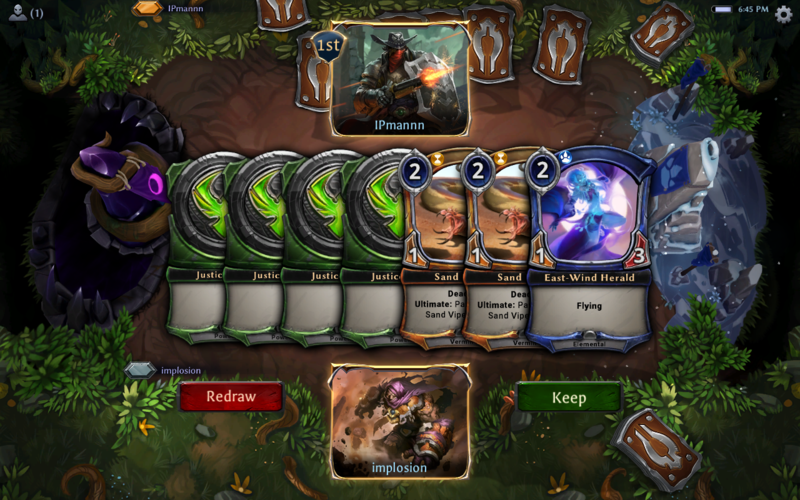 On ranked i am still playing the JSP last word deck i made earlier this month, and sometimes the gunslingers. Next project is making a thing with temporal distortion. As you can tell, i'm still more looking at making silly decks that somewhat work than making objectively good ones. Otoh these decks have relatively consistent results in mid-gold at the moment, which i am happy with. Its like hard to quantify how well each deck is doing because I was already in masters when dusk road dropped so im just shifting numbers up and down arbitrarily. sentinels is big and dumb and casting a 16 drop is hilarious and usually wins the game on the spot. even bigger combrei still feels like "if silences werent so good we would only play legendary creatures the deck" but seriously casting a must answer every turn after 4 is great. now im trying to convince myself that i dont want to build mill but i think i might have to anyway lol. like 11 of the 18 legendaries i crafted so far have been the TJP "diesels" though. that cycle is good. I do want to do the mill thing too still, yea. Just kind of unsure if it's good enough. I've been playing this a month or two, still screwing around with Praxis heavy midrange in Silver rank and learning to draft, just got my first 7 win draft (a 7-0 in fact!) with some co-op help on Discord for the drafting phase, but having a blast! currently messing around with this FJP Plate list for now. FJP plate is a deck with very silly influence requirements and I can't believe we're in an era where "aggro pile" isn't an oxymoron. I guess Stonescar 'slingers was the deck to beat, though, so yay, everyone can play weapons again. I went back to Chalice because Channel and Parliament seem relatively okay right now, although I've also been trying to Scream Toppletowers to not much success yet. My friend was/is? number 1 rank on this game for a bit and apparently a big shot but I know nothing about it lol. Cool to see this game mentioned elsewhere though. Honestly I just love that the spoiler for that card was. Yes it is a meme. In post 47, Fluminator wrote: My friend was/is? number 1 rank on this game for a bit and apparently a big shot but I know nothing about it lol. Do you know what name he plays under?